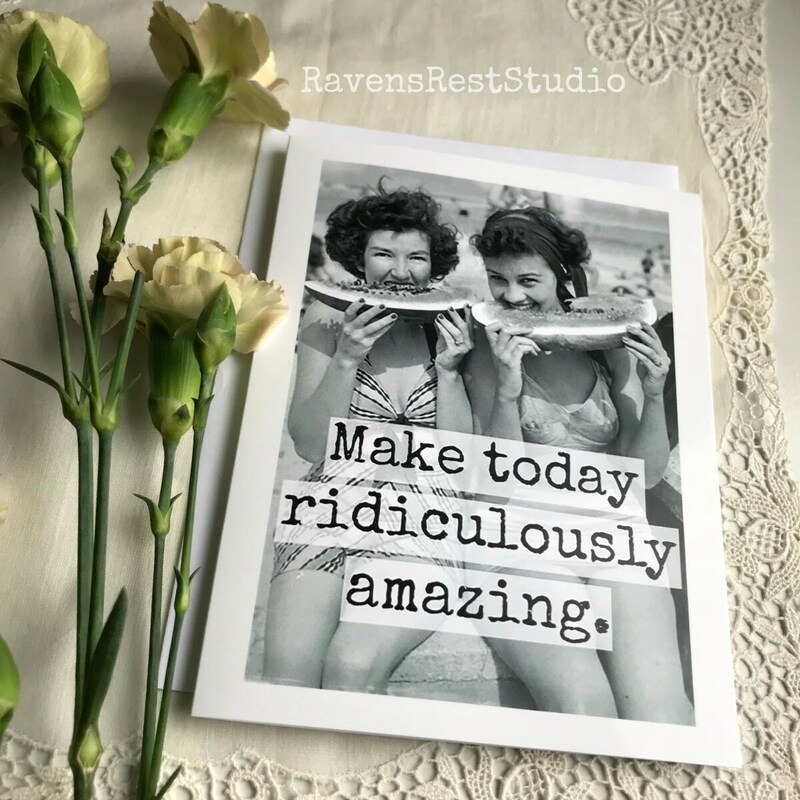 Greeting Card. Friendship Card. Vintage Photo Card. Vintage Beach Photo. Watermelon Photo. 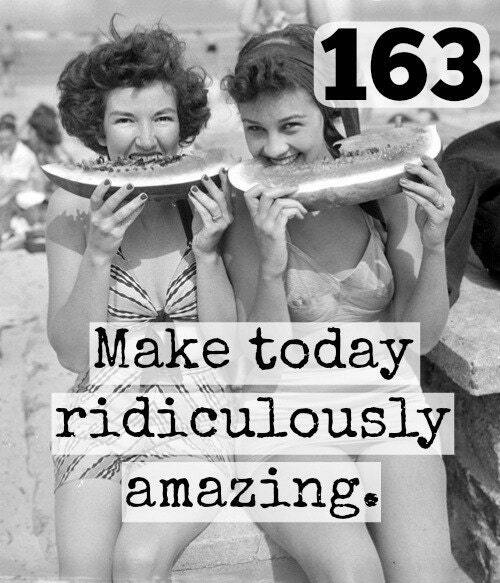 Make Today Ridiculously Amazing. Card #163. 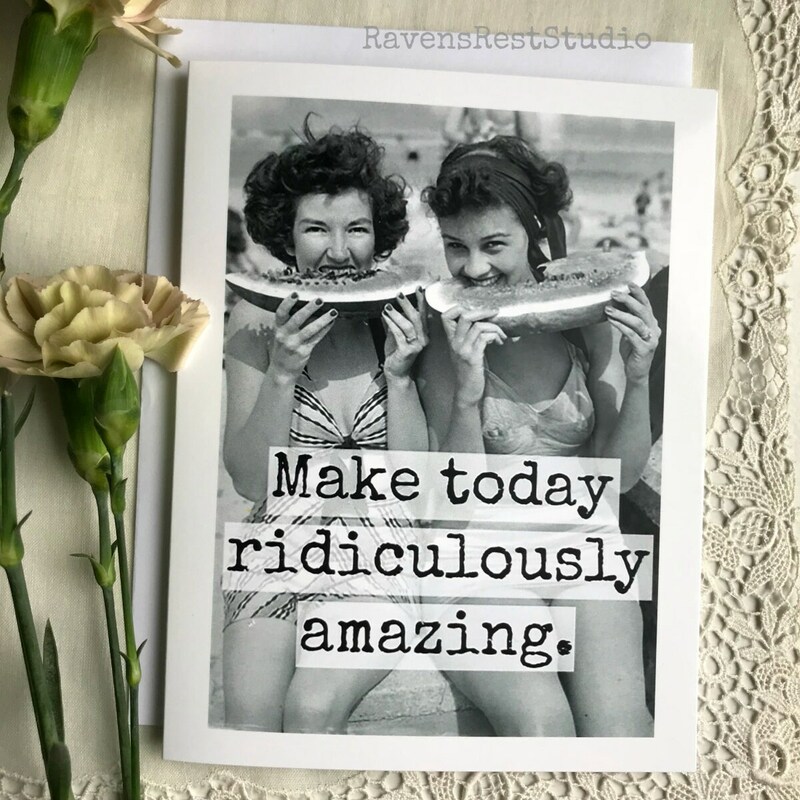 This card features two vintage girlfriends, and reads: "Make today ridiculously amazing".